The Action Channel, Luken Communications’ newest network offering, grabs the couch potato by the collar and turns them into an adrenaline junkie! Action delivers everything for the daredevil-at-heart: high-octane thrills, heart-pounding excitement and outdoor adventures. With something for everyone, Action’s exciting lineup includes outdoors, automotive, and entertainment programming such as V8TV, Ghostbreakers, Studio D, Motorz, Jimmy Houston Outdoors, Inside the Ring, Armed Forces Boxing, The Border, its newest addition, Horror Hotel, and much more! V8TV NOW AIRING ON THE ACTION CHANNEL IN LAS VEGAS MARKET! Chattanooga, Tenn., (December 5, 2016) – Luken Communications is thrilled to announce the launch of The Action Channel and The Heartland Network in the Las Vegas market (DMA 40) on KMCC. The station, owned and operated by Cranston II, LLC, launched both Action and Heartland on December 1. Las Vegas area viewers can now find Action over-the-air on channel 34.1, as well as on Cox channels 14 and 1014, on DirecTV channel 34, on Prism channels 32 and 1032 and on Dish Network channel 32. Heartland is available over-the-air on channel 34.2 and on Cox channel 97. The Action Channel, Luken Communications’ newest network offering, grabs the couch potato by the collar and turns them into an adrenaline junkie! Action delivers everything for the daredevil-at-heart: high-octane thrills, heart-pounding excitement, outdoor adventures, and the sheer will to break a few rules. With something for everyone, Action’s exciting lineup includes outdoors, automotive, and entertainment programming such as V8TV, Ghostbreakers, Studio D, Motorz, Jimmy Houston Outdoors, Inside the Ring, Armed Forces Boxing, The Border, its newest addition, Horror Hotel, and much more! V8TV is a hands-on Classic and Muscle Car show shot in the V8 Speed & Resto Shop that shows the proper way to complete award winning high-end restorations, including stock and Pro-Touring style modified Muscle Cars without false drama or nonsense. 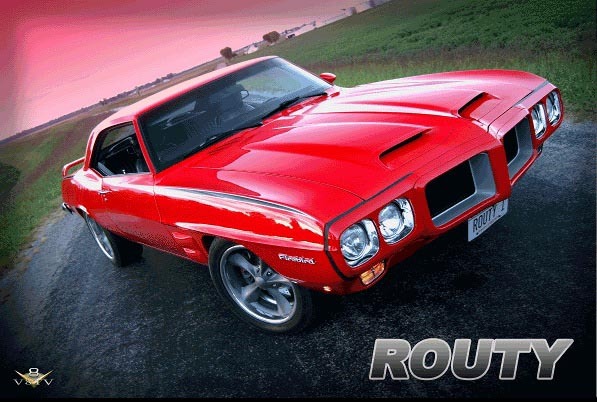 V8TV is also home to Muscle Car Of The Week, which features outstanding Muscle Cars from The Brothers Collection. To learn more about Action, check their website at http://www.actionchanneltv.com. See more of V8TV at http://www.v8tvshow.com. V8TV airs in most major US markets on Rev'n, Tuff TV, and The Action Channel, and online on YouTube, www.v8tvshow.com, social outlets, and more. REV'N TV is carried in the following cities and channles, but always check with the REV'N TV website for the latest affiliate info! V8TV Productions, Inc., is a full-service television and video production company based 35 minutes SE of St. Louis in Red Bud, IL. Our mission is to provide our clients the highest quality video production at the most effective cost utilizing our 20+ years of network level television production experience. Weather you need a video for your social media or YouTube channel, have an idea for a great web series and need a producer, want to air a new TV & website commercial promoting your latest products, have a training message to share with a team, require a trade-show video loop to tell your company's story, or just want to blast out a short video in your email list, we can help make it happen! Contact us today about your project needs, we'll be happy to discuss your needs and a plan to fit your budget! You can fill out the contact form and we'll get back to you ASAP to discuss your needs. V8TV is a TV and web show shot at the V8 Speed & Resto Shop focusing on showing the tips and techniques for quality Muscle Car restoration. Today, the V8 Speed & Resto Shop is fully staffed with 15 talented people ranging from technicians, fabricators, body & paint techs, plus the administrative and video production crew. V8TV airs on the TUFF-TV and REV'n TV networks, and the video crew is continuously producing V8TV web episodes along with our latest show, Muscle Car of the Week. CLICK: Where To See V8TV? Vehicle Transport is available to bring customer cars to the shop for work, or we can always find cars to build. DISCLAIMER: Demonstrations and procedures contained in the V8TV show or website may not provide all necessary or relevant information. Applicable local laws and regulations may vary and should be checked before any project is commenced. Be sure to follow all applicable safety procedures. V8TV Productions, Inc. makes no warranties, expressed or implied, as to the completeness, accuracy, or practicality of any such demonstration or procedure or any information with respect thereto contained in any television or video programs or articles produced by V8TV Productions, Inc.